A few days ago I ‘overheard’ on Facebook one friend lamenting that her son always steals her food at dinner. Several other parents chimed in with similar stories. They hashed out ways they could ‘deal’ with the little thieves. They discussed punishments for stealing and rewards for not stealing. I was appalled. I think a common experience many parents have is that their children ‘steal’ their food. It’s the same every night. Supper is made, dishes served. Small portions neatly placed on little break resistant plates and everyone sits down to eat. Mom or dad says eat your vegetables. Someone else says eat some meat. And what does little Johnny do? 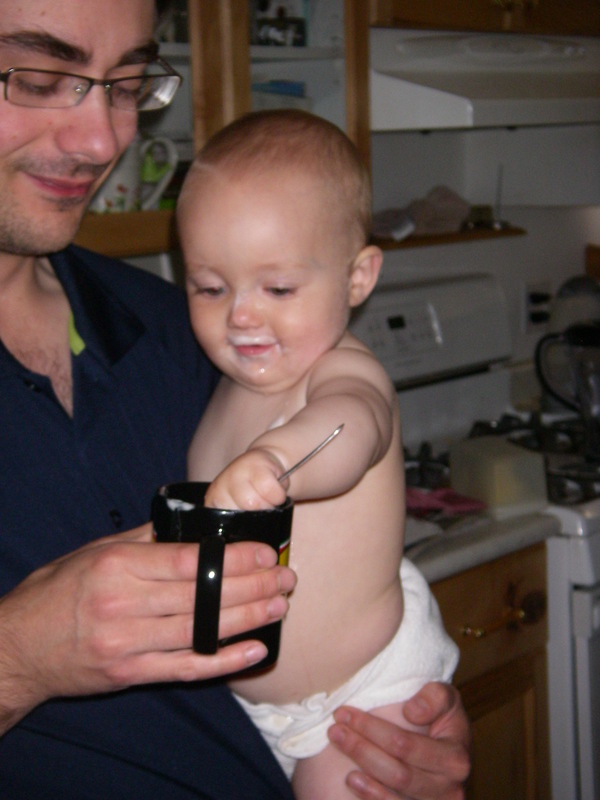 He reaches over and takes Dad’s beans, Mom’s chicken, maybe even the baby’s mush. It doesn’t seem to matter what the food is, whether there’s any on your child’s plate or not. 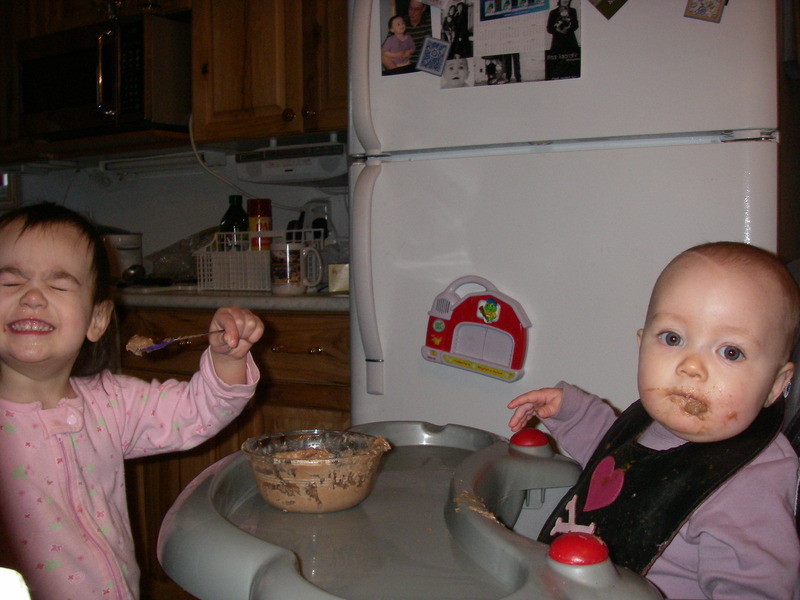 It seems as though all children in the toddler through preschooler age range prefer to eat someone else’s food. I wonder why. I also wonder what message this sends to children. A parent sits through a meal begging, pleading, scolding, and threatening their children into eating certain foods or certain amounts. The children don’t seem interested in eating their own food and either play with it, or ignore it. However, they happily reach for their parent’s food, pop it into their mouths and fill their tummies with a balanced diet. So if parents shared their food, their children would likely eat more food, have a more balanced diet, and be willing to try new foods. Yet many parents won’t share. Why not? Are parent’s so concerned they won’t get enough food if their child eats off their plate? Or maybe the parents want to teach manners? Maybe the parents put different food on their plate than their child’s plate? Maybe they don’t want to share? If parents are concerned they won’t get enough food, they could put extra food on their plate in the first place knowing their child will eat a portion of it. Or they could eat the food left on their child’s plate. Either way the same amount of food is on the table, no matter which plate the child eats from. If a parent wants to ‘teach’ or enforce manners, I have to first question which is more important – that a child eat or that they learn manners? If manners are truly higher on the list, then I believe that parent should look at why they parent in the first place. Manners will come with time. As parents, if we model good manners to each other and to our children, then our children will pick up and use those manners. If we don’t model those manners to our children, then they can’t learn them – no matter how much we bribe them. "No! You can't share my yogurt!" If a child sees different food on their parent’s plate than their own , I think it’s natural for them to want to try it. Especially if the parent says ‘No’. The ‘No’ places higher value on that particular item, thus the child wants to try it even more. But what of the parent who just doesn’t want to share? I think everyone can relate to the thought at one point in time or another. But does the parent that refuses to share with a child require the child to share – all things, at all times, no matter what? What message does that send? That nothing they own/have is sacred, they must cling to it at all costs? Once they’re bigger they won’t need to share anymore? That if you want something from mom and dad you’d better sneak it, because mom and dad don’t share? Maybe mom and dad only have a hang up with food? They share anything, except food. That places a great value on food. However it won’t make little Johnny eat more of something he doesn’t want or like. Instead he’ll fill up on the things he wants, and leave everything else. The reason is that the parents aren’t placing value on food in general, instead only on the foods they feel are important. Their child will follow suit. If parents want to place value on food in general, sharing is the easiest and fastest way to do that. If it is more important that food is eaten, than wasted; that food is shared around the table so everyone gets some and none is wasted, then the value of all food increases. No matter your approach, the phase won’t (likely) last forever, however your approach will have a lasting effect. What outcome do you want? Thank you. We experience the same thing with toast around here. lol It’s better off someone else’s plate. Though right now the girls will not share snacks with each other lol, the food must be divided between them. lol cuteness does go a long way.